NASHVILLE, TN — WeGo Public Transit (WeGo) and the Regional Transportation Authority of Middle Tennessee (RTA) will be hosting a Procurement Open House on October 24, 2018 from 10 a.m. – 12 p.m. at 430 Myatt Drive, Nashville, TN. Small, minority, and female business owners are encouraged to attend and receive information on how to do business with WeGo Public Transit, network with current vendors, and learn about upcoming transit project opportunities as well as learn about the agency’s Disadvantage Business Enterprise (DBE) vendor certification process. Those interested in attending the Open House should RSVP for the event by October 17, 2018 by emailing mta.procurement@nashville.gov. 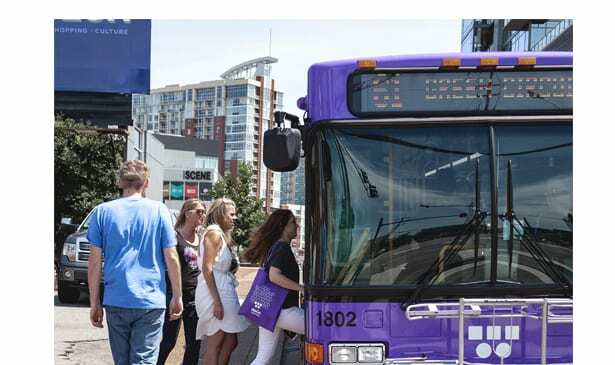 Formerly known as the Nashville Metropolitan Transit Authority, WeGo Public Transit aims to make strides towards becoming an embraced part of Nashville by serving Davidson County’s neighborhoods as a friendly, sustainable, reliable, and trusted partner. The goal is to inspire connectivity one person, one ride, and one neighborhood at a time.